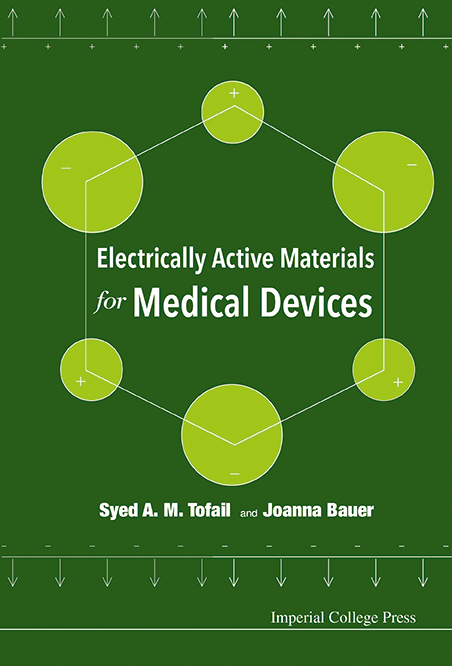 Dr Tofail Syed, MOSAIC Group PI and Senior Lecturer, has launched a new book on Electrically Active Materials for Medical Devices. Stress induced electrical charges, action potential and electret behavior of bone, muscles, skin and nerve cells have been known for some time. Electrically Active Materials for Medical Devices builds on this knowledge and encourages readers to understand and exploit electrical activity in biomaterials from native, derived, or completely synthetic origin, or a combination thereof. It presents data and insights from both historic and contemporary research that spans over six decades with a view to generate convergence of interdisciplinary knowledge and skills. Divided into four parts, this book first introduces the reader to a general overview of electrically active materials in biology and biomedical science and describes important concepts and pioneering discoveries. The second part discusses common types of materials that are known to generate electrical activity and lays the foundation for these materials for use in medical devices. The third part gives examples of where electrically active materials have been examined for device application. The final part looks for upcoming and emerging concepts, tools and methodologies that are expected to shape the future profile of this field of converging science. Written by specialists in their respective fields, it has been specifically targeted at a readership of professionals, graduate students and researchers in the fields of biomedical engineering, physics, chemistry biology and clinical medicine.